Antec is known for quality, the brand address a lot of solution for Gaming builds, and recently Antec tweeted about the availability of its Dark Avenger DA601 Next-Gen Mid-Tower Gaming Case. 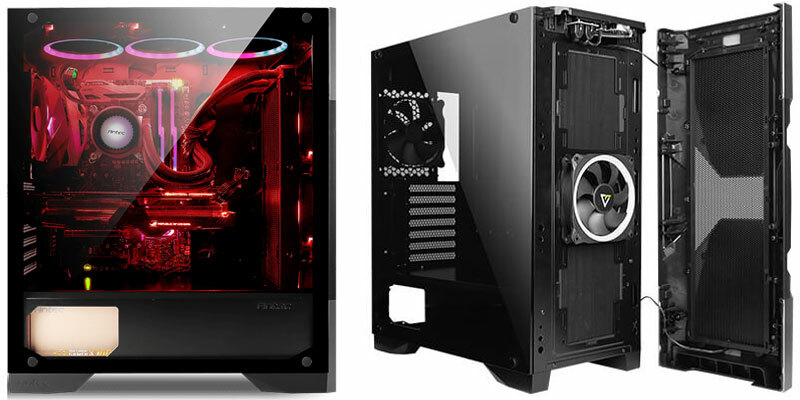 The case features an X-ARGB strip on the front that allows players to easily customize the color of front led. It has a Sync Led Control button and circuit that connect with your motherboard through PWM Fan cable, you can enjoy nearly 16.8 Million customized RGB Colors and effects. New year, new gaming series. Allow us to take you to the next gaming age. Loaded with all standard I/O ports and connectivity options Antec Dark Avenger DA601 is an ideal choice for gamers who want an amazing look on their rig instead of settling on plane dark chassis. 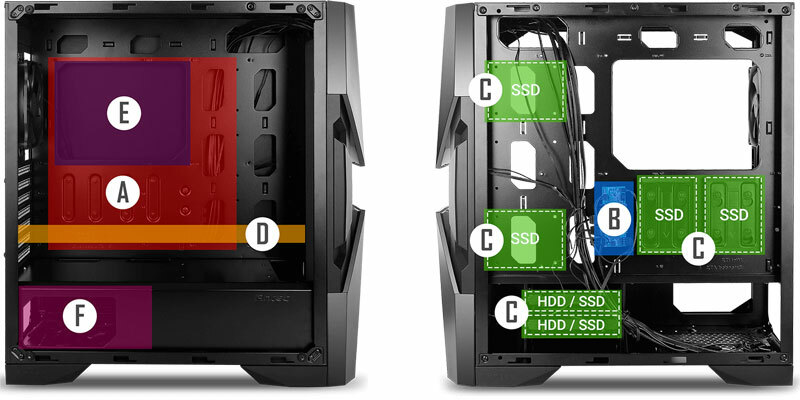 LED’s are kind of next-level touch to the case, and regular cases are stressing to use different strips with the separate controller that lack support for the rig structure. 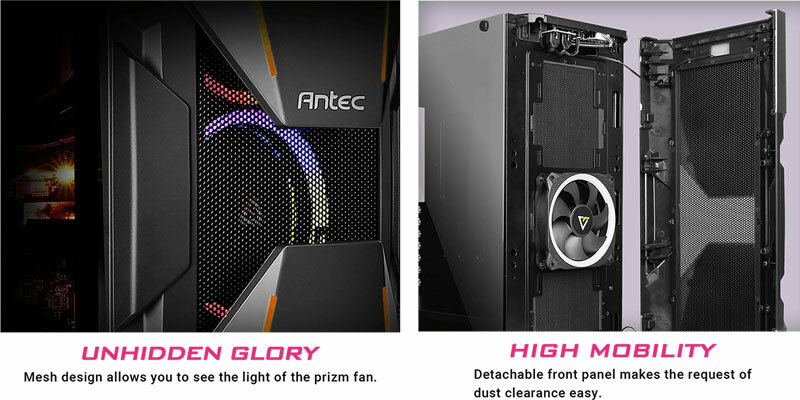 Antec complies the features and style both in Dark Avenger DA601, you have cooling options, up to 6 storage slots, thermal cooling support, removable drive racks, a full-screen window to peek in, and much more. The rig is ideal for mid-range gaming build so first go through the below specs in details to learn about GPU and liquid cooling support. Fan Support – Front 3 x 120mm, Top 3 x 120mm / 2 x 140mm & Rear 1 x 120mm. Included Fan(s)- 1 x 120mm Prizm ARGB Fan in front & 1 x 120mm regular fan in rear. Radiator Support – Front ≤ 360mm, Top ≤ 360mm / 280mm & Rear ≤ 120mm.